Are We Reaching ‘Peak Cloud’? Cloud computing has been perhaps the most explosive and profitable area of growth in tech in the past decade. The sheer amount of money churned up by Amazon Web Services, a cloud computing giant that powers everything from from Netflix to Slack to this website by allowing them to run without requiring customers to buy a single server or any hardware at all, made the notoriously lean company profitable (a development that seemed to catch even Amazon by surprise). And there’s a whole host of smaller cloud computing companies that have been stock market darlings, as they combine high growth with steady and reliable income from subscription models that make Wall Street very horny. There’s also the problem of slowing growth at the enterprise level. Box, a company that mainly sells to chief technology officers at established firms rather than bootstrapping start-ups (think Dropbox, but for Fortune 500 companies), reported its own rough quarter, which saw a decline in the number of new customers acquired. Box is finding success both adding seats to its existing customers and adding on new features, but net new customers are increasingly harder to find; that 12% total customer growth rate is down from 15% a year ago, 25% two years ago, and likely the high 30% range three years ago. 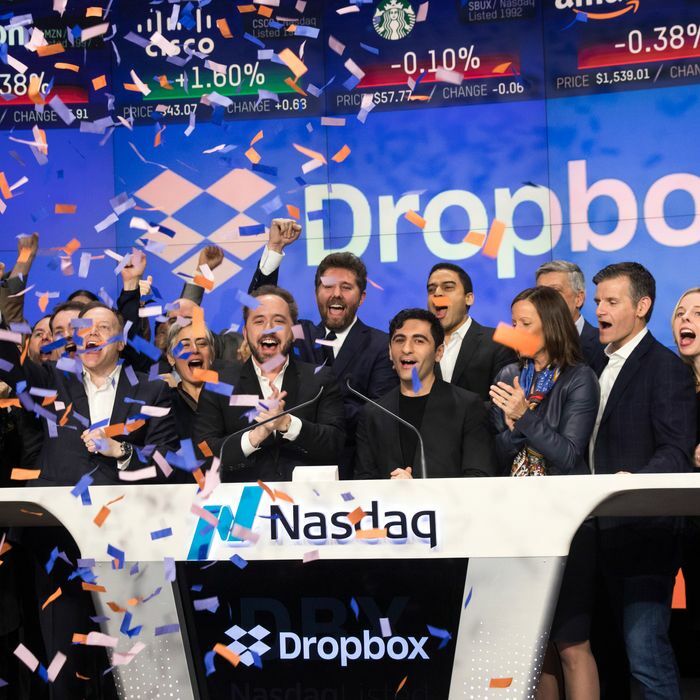 […] In short, it appears the problem facing Box is not churn, nor is it revenue expansion with existing customers; rather, it is finding new customers, particularly large ones, which strongly suggests the competition Box is facing comes not from Dropbox but rather Microsoft. Taken together, one has to wonder if the cloud computing market is starting to enter maturity. When companies began offering infrastructure-as-a-service, platform-as-a-service, and software-as-a-service, (all different flavors of offloading on-premises IT hardware and software to remote locations), there were millions of potential customers who had existing needs to be filled. This meant cloud computing companies could see explosive customer growth by simply showing how and why cloud computing made more sense. Now, it’s rare to find a company that doesn’t use cloud computing to some degree — the idea of keeping the majority of your technology stack on-site feels as antiquated as CRT monitors or using a mouse with a rollerball. There are still customers to be found, and new companies being founded that will need cloud computing services and support, but they’re harder to drum up and will be more expensive to acquire. This doesn’t mean that cloud computing won’t continue to be a lucrative business, or that the business fundamentals of it don’t make sense on both sides of the equation; cloud computing companies still get subscription fees they can count on for assured revenue, and cloud computing customers get the ability to scale their IT infrastructure up or down as needed. But it does mean that compared to the skyrocketing growth cloud computing saw over the past decade — and the soaring stock prices that accompanied it — the market may be cooling down. Cloud computing companies will need to focus more on increasing revenue from existing customers rather than relying entirely on growth from new ones. They’ll also need to start thinking more seriously about poaching customers from other cloud computing companies in the space, an expensive proposition that will require companies to differentiate themselves on price, services, or a combination of the two — which means we may see a few companies disappear or get acquired over the next year or two.